Clint Black returns to the Lincoln Center on March 24th. The country megastar will be playing songs from his newest album On Purpose as well as all the hits you know and love. When Black released On Purpose, his first full-length album of new songs in a decade, he did it on his own terms. During Black’s hiatus, he was courted by many major recording labels. All of them wanted him to sing songs by other writers, but Black insisted on writing and producing his own music. On Purpose compiles a strikingly diverse group of his self-produced songs. His ballads “Only One Way to Live,” “Stay Gone,” “Breathing Air” and “The Last Day” have never cut deeper. His spirited “Beer” and “Better and Worse” are among the most upbeat songs he has ever crafted, and the lilting “You Still Get to Me” marks Black’s third duet with his wife, actress Lisa Hartman Black. These new songs continue Black’s stellar career. To date, Black has sold more than 20 million albums worldwide and has 31 top-10 hits and 22 number-one smashes. Recordings such as “A Better Man,” “Killin’ Time,” “Like the Rain”, “When I Said I Do” and “Nothin’ But the Taillights” have led to honors from the Country Music Association, The Academy of Country Music, The Grammys, and the American Music Awards, as well as membership in the cast of the Grand Ole Opry. 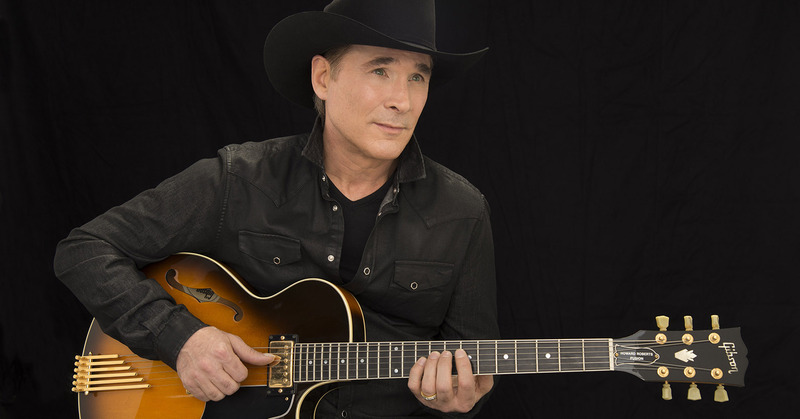 Clint Black performs March 24 at 8p.m. Regular seats starting at $39. Come “Cowboy Up” with drink specials and boot-tappin’ tunes beginning in the lobby at 7:00 p.m.